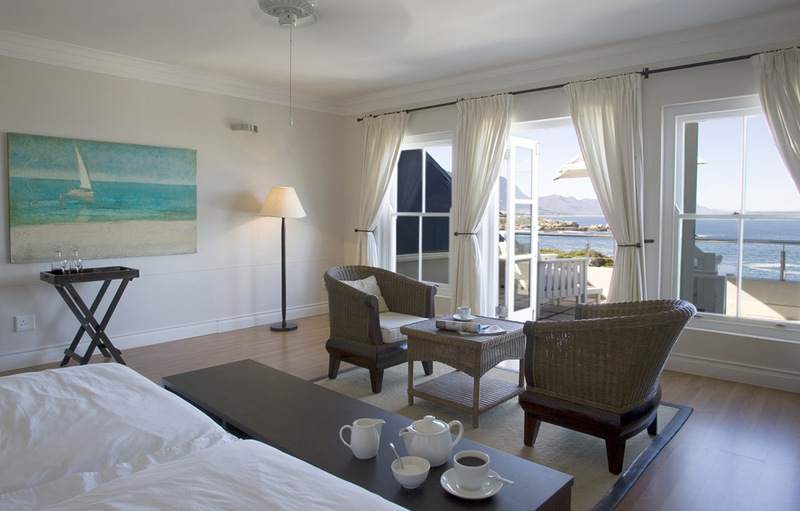 Sitting atop the famous cliffs of Hermanus is the beautiful Cape Cod, colonial Ocean Eleven Guest House. 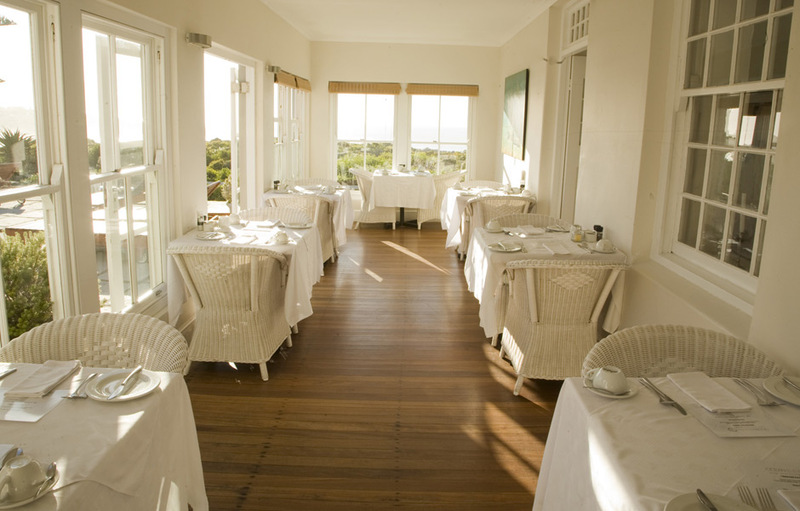 This charming boutique hotel offers bed and breakfast accommodation in 10 beautiful sea-facing suites. 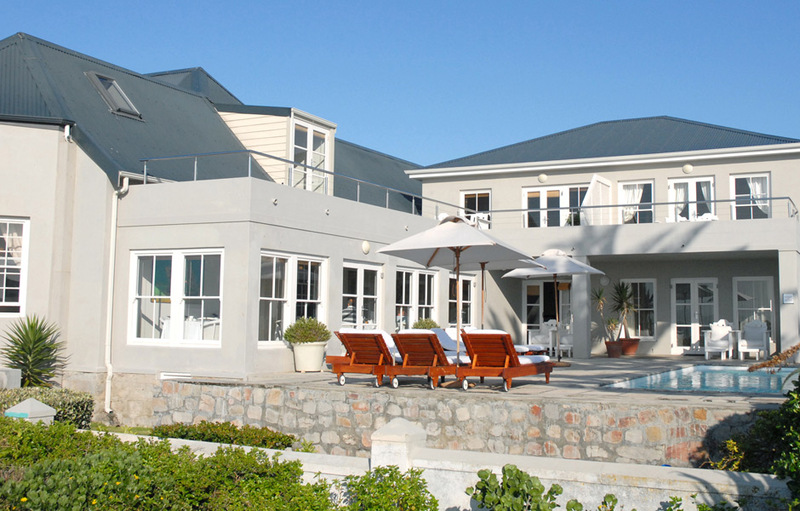 This graceful home with its high ceilings, tall windows and teak floors enjoys encompassing vistas of Hermanus’ Walker Bay and the picturesque mountains beyond. In-season, guests staying at Ocean Eleven will experience some of the best whale watching in the world, right from the comfort of their suites. Hermanus is a quaint seaside town, filled with charming boutiques, a cornucopia of restaurants, walking trails and nature reserves all cosseted between majestic mountains and the sparkling Atlantic Ocean. Ocean Eleven boasts ten beautifully appointed rooms - three standard, five deluxe and two suites. 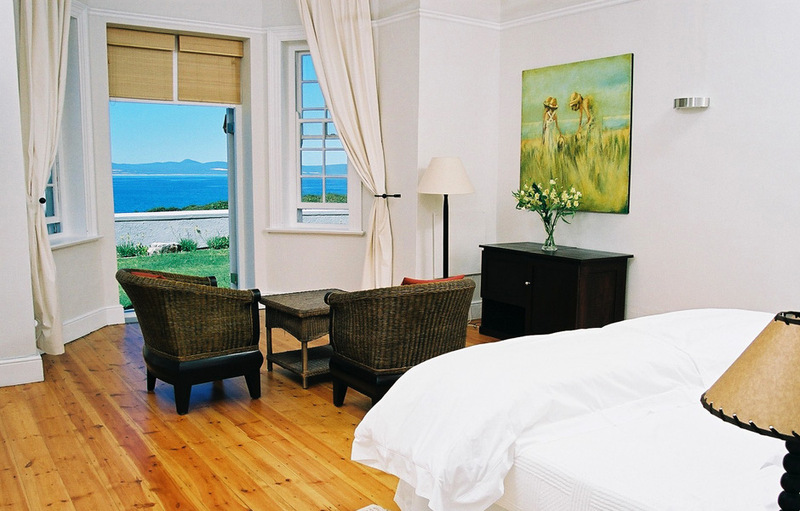 Each bedroom has a panoramic sea view over Walker Bay. Luxurious linens are 100% percale cotton, and in-room amenities include a tea and coffee station, a mini-bar, heated towel rails, fans and heaters which will ensure a comfortable stay at the hotel. 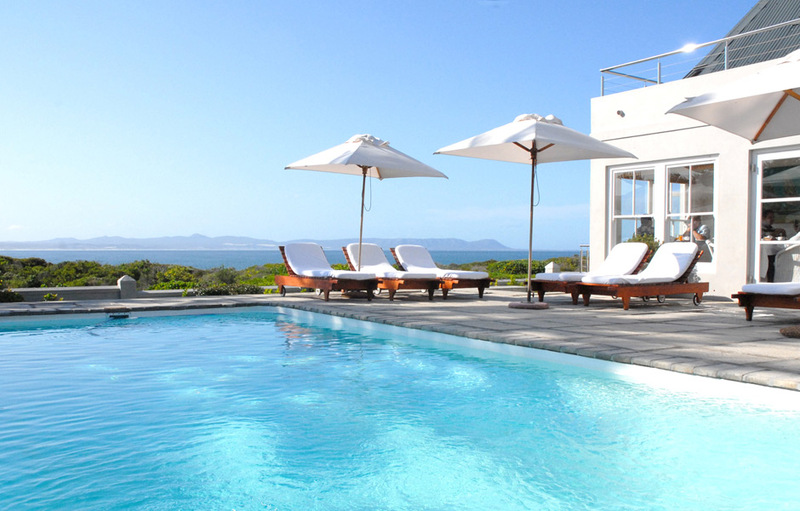 3 Standard Rooms – situated on the ground floors of the guest house, two in the main house which feature en-suite bathrooms with showers, high ceilings and windows onto the garden, and a third with en-suite bathroom (with a bath and shower), located next to the swimming pool with French doors leading onto the deck. Deluxe Rooms - three of the deluxe rooms are alongside the swimming pool, one on the ground floor and two upstairs. 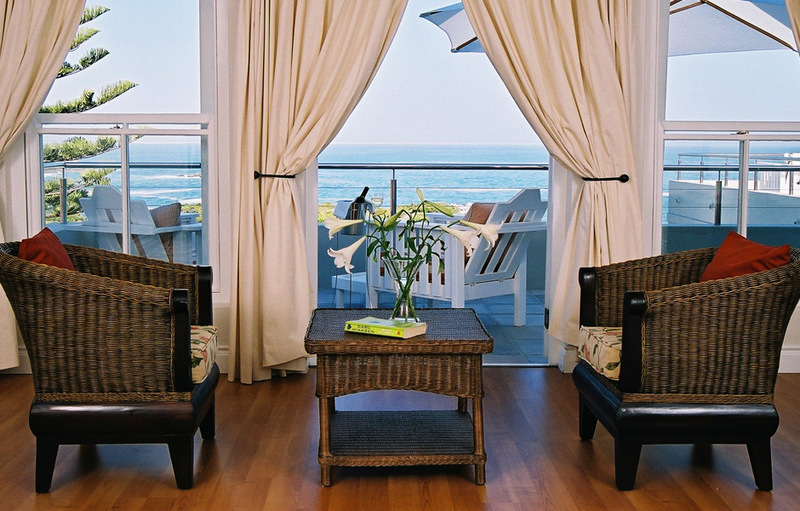 The fourth room has a separate entrance and it own private balcony overlooking the sea. The fifth deluxe room is situated in the main house and has original teak floors, a walk in dressing room and French doors opening out onto the garden. All deluxe rooms are en-suite with a bath as well as shower. Suites – There are two loft-style suites in the roof of the house which are spacious, air-conditioned and have en-suite bathrooms with baths and showers. The first is the Honeymoon suite which has magnificent views from the oval bath tub – a real romantic treat. The second suite includes a sleeper coach which can accommodate a third person or your children. The pallets have been purposely kept neutral, white walls and linens, with yellow wood floors. The view is the primary focus at this pristine beach house.